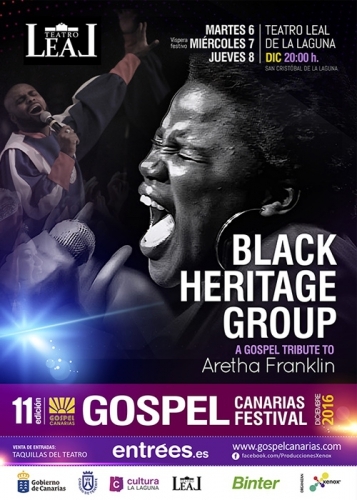 The fabulous Black Heritage Group from Mississipli in the US will be coming all the way to Tenerife for the Canarias Gospel Festival where for three nights they will perform a tribute to Aretha Franklin. The queen of soul was the first artist to switch from gospel to pop without changing her style, staying true to her roots and passion. Three concerts will take place at the Teatro Leal in La Laguna on the 6th, 7th and 8th December at 8pm. Ticket prices start at 12 Euros and can be bought here: https://entrees.es/eventos/teatro-leal_11/xi-gospel-canarias-festival:1219.